MU Origin has been one of the big beasts of the Asian mobile MMORPG world ever since it entered the fray a couple of years ago. A huge amount of polish, plus an endless flow of massive updates and events, made it an instant classic. It hardly seems possible that we’re already writing about the global launch of MU Origin 2, but here it is. Or rather, there it is, glinting on the horizon like a solid gold battleship, boasting improved graphics, amped up gameplay, and the elements you’d expect in an MU Origin game. 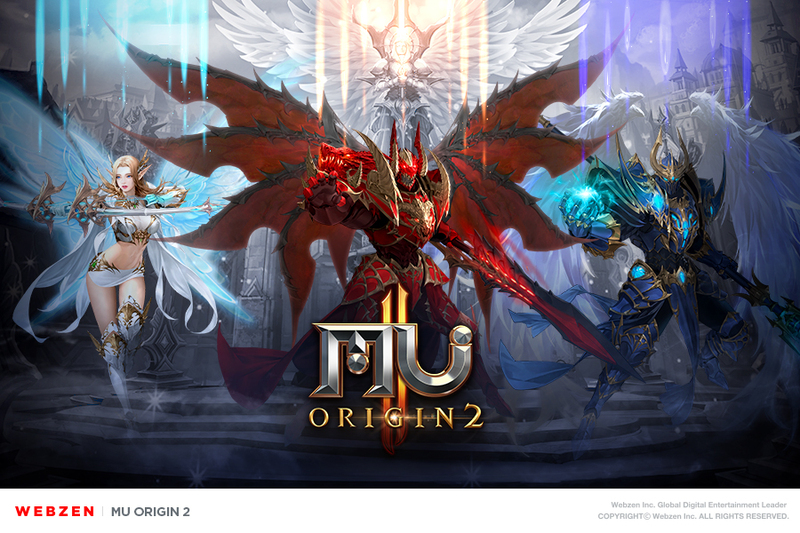 MU Origin 2 is about to enter closed beta in English, only on Android, and only in a select few territories: namely, all of North and South America. So quite a big selection of territories. The closed beta begins on March 29th and ends on April 7th. Log in between those dates and you’ll be able to choose from Dark Knight, Dark Wizard, or Elf before forming a party and heading out to conquer a few dungeons. You’ll also be able to join a guild and solve problems with your guild-mates, and battle with other players either solo or in teams. Plus, the closed beta will let you choose a pet to help you take down enemies on the battlefield, and a mount to help you cross large distances quickly. There are daily dungeons and field quests too – basically, almost all of the content that will show up in the finished version will be playable in the beta. And if you reach level 150 during the beta and fill out a quick survey you’ll receive a coupon to redeem in the finished version of the game. That’s all you get to keep from your beta adventures, though. Everything else will be wiped when the beta ends. MU Origin 2 will be on Google Play before you know it. Get involved in the closed beta by visiting the official website here.